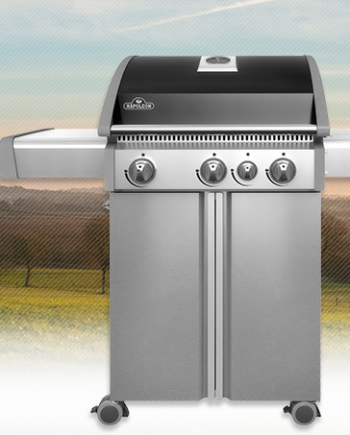 A gourmet outdoor kitchen deserves to have a big and beautiful grill. 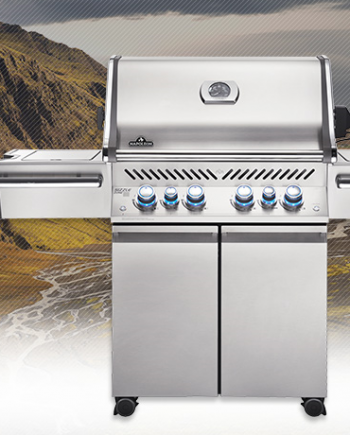 The Built-in Prestige PRO™ 665 with Infrared Rear Burner features seven burners for grilling bliss. 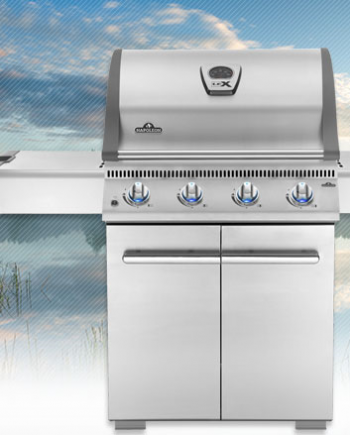 Durable stainless steel features chrome accents that add style and luxury while providing durability. 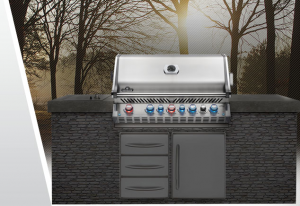 The NIGHT LIGHT™ control knobs make it easy to grill after dark with stylish blue LED lights, and the SafetyGlow turns knobs red when a burner is in use. 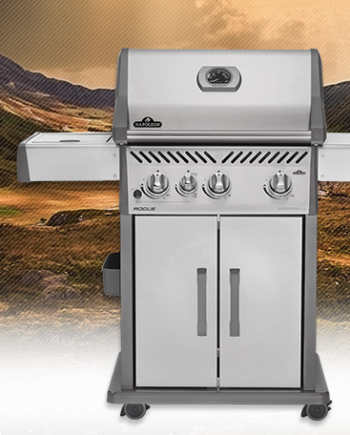 Never worry about leaving the grill on again, and always know which burners are lit. This makes it even easier to get the perfect sear, or ideal indirect grilling. The oven-like performance of this Built-in Prestige PRO™ 665 allows you to bake and roast with ease, sear over high heat, and the rear burner makes delicious rotisserie meals in no time. 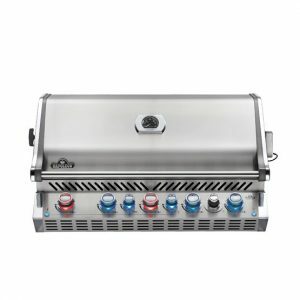 The integrated smoker tube and dedicated smoker burner can even turn this grill into a smoker. Interior lights let you grill well past dark without worry of burning your food. 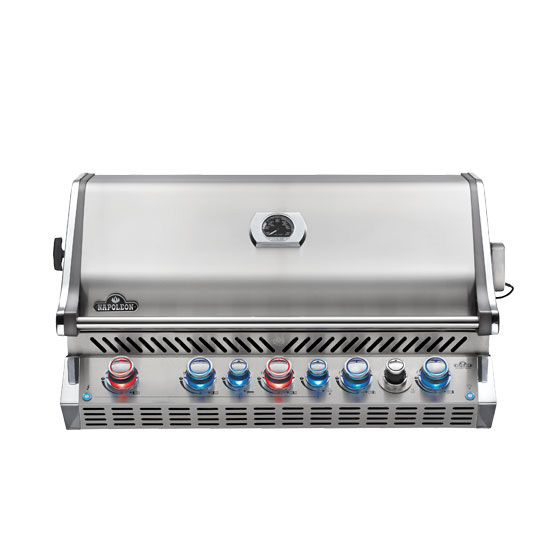 Perfect and professional, the PRO 665 Built-in Grill Head is the perfect grill for your outdoor kitchen. When being built into Oasis™ cabinets, the BIPRO665RB cannot be used directly adjacent to the 45° transition kit (IM-45T). The island and Built-in components shown do not come with the BIPRO665RB. 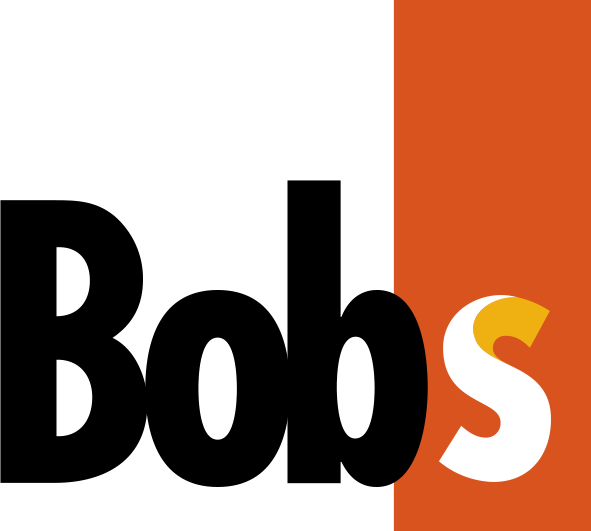 The image is an interpretation of how it might look.